The Norfolk Grey originates from the town of Norwich, in Norfolk, England. They were created by Fred Myhill before the First World War as utility birds under the name Black Marias. The name was unfortunately reminiscent of funerals and was quickly dropped and the breed took the name Norfolk Grey instead. They were first exhibited at the Dairy Show in 1920. They are a heavy breed but are not actually that large and only weigh around 6-7lbs. 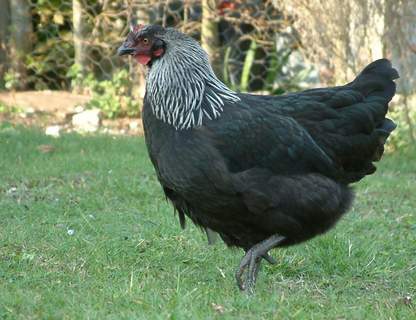 They were developed by crossing the Birchen English Game with Partridge Wyandottes. They have a single comb and a red face with black eyes while the legs are slate or black. Plumage is attractively marked and the male has a beautiful silver hackle striped with black as is the neck, back, saddle and wing feathers while the rest of the plumage is black. 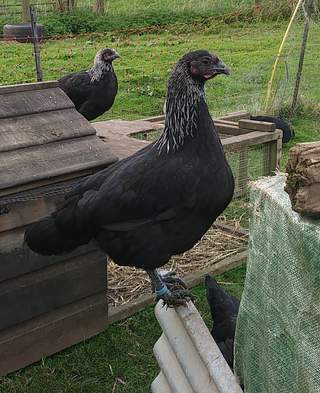 The hen's hackle is similar to the cockerels but she has an otherwise rich black feathering all over apart from the throat which is silver laced. They can produce a good-sized carcass for meat production if they are allowed to mature slowly and are regulars at shows where they win prizes. 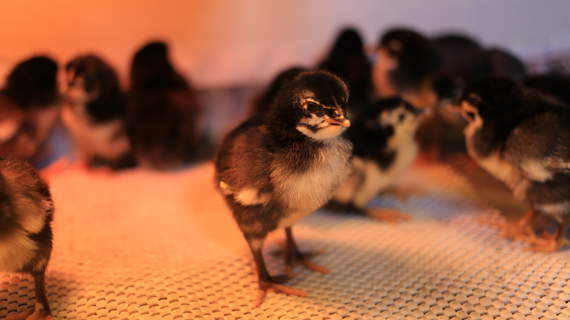 They are a rare breed and almost disappeared in the early 1970s but fortunately a private flock was found to contain 4 birds in 1974 and the breed was revived. 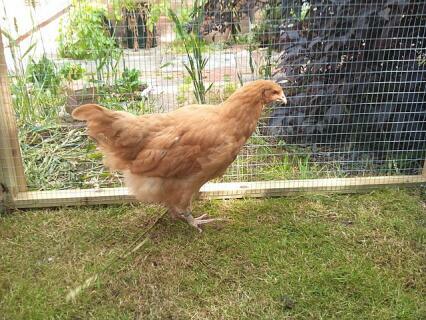 There is also a bantam version and both are only available in one plumage colour. 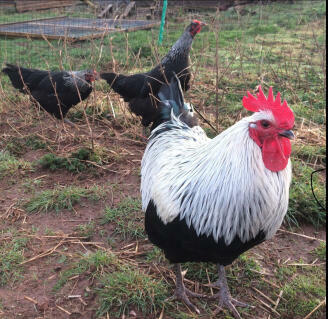 The Norfolk Grey is an excellent forager and does well when free ranging. Males can reach 7-8lbs while the female is 5-6lbs. 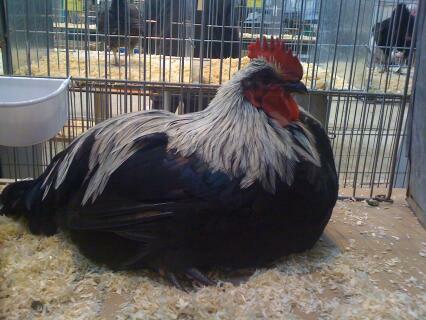 They breed and lay reasonably well. 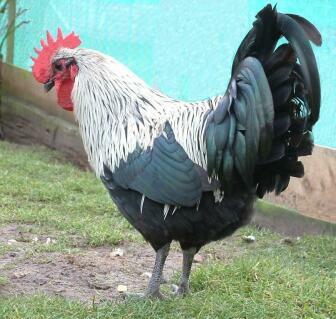 This breed is extremely good looking, friendly, the hens are great layers and the cockerels are very caring and non-aggressive. They are also very hardy. The best rare breed I have kept so far. 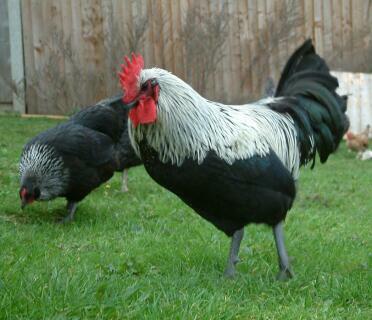 The Norfolk cockerels are very handsome and protective of their hens. 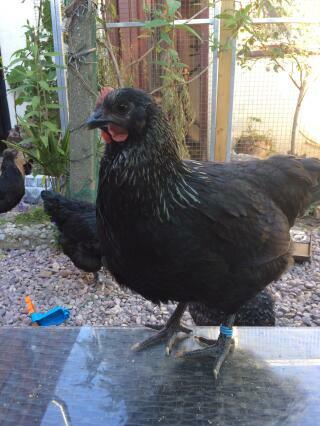 The hens are very friendy chat a lot decent layers and love attention. 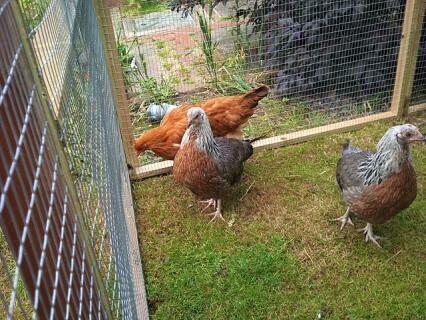 They are quite slow to mature so need to do early hatches. Hardy, good layer and good looking too.